Video games and movies haven’t proven to be the best bedfellows, but Netflix’s Stranger Things earned some goodwill last year when it teamed up with developer BonusXP for a mobile game that, in addition to being pretty good, wasn’t just trying to microtransact you to death. That’s why we’re optimistic about the latest game based on the series, another collaboration between the series and developer that’s said to follow the events of its as-yet-unreleased third season. The trailer for the game, which you can watch below, was introduced by series creators Matt and Ross Duffer on Thursday night at The Game Awards. A press release describes the game as a “meticulously crafted Action Adventure RPG that pays homage to the 16-bit era” Burning question: Do we get to play as Jake Busey? Sadly, no. From the above footage, it appears players step into the shoes of Hopper, Eleven (or is that Joyce? ), and Lucas, who here square off against some Double Dragon-looking thugs that really have us wondering what’s in store next season. 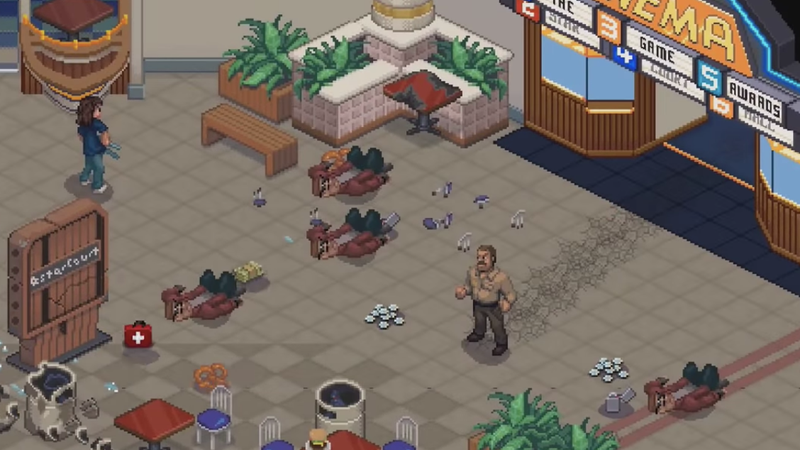 We also get some 16-bit glimpse of the Starcourt Mall, which was highlighted in the season’s first teaser trailer. There’s Scoops Ahoy! in the background, but, sadly, no Steve Harrington behind the counter. The game, which reportedly has a cooperative element, will come to Xbox One, PlayStation 4, Nintendo Switch, Mac, and PC next year. No exact release date has been announced, but we’re guessing it’ll arrive in the vicinity of the third season, which is currently slated for a summer release.